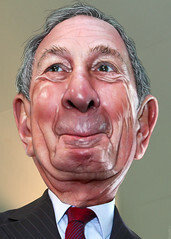 Michael Bloomberg KBE gets a yearning to be POTUS = Bugger me! He's a knob! * It's belligerent to copy Obama.